I often find some real treasures on the various auction sites we all cruise through be it daily or occasionally. so I figured a thread listing some of the bits we find for sale may well help others in their hunt for boats /parts etc, it may also steer the unsuspecting away from a bad deal if someone else has some knowledge they can add about the various listings. what have you found of late ? Last edited by RickWhite; 07/30/15 01:02 PM. Last edited by RickWhite; 07/30/15 01:03 PM. not quite a mossie, but this has to be the most over priced old cat in Oz. I wouldn't pay fifth the asking price. Last edited by RickWhite; 07/30/15 01:04 PM. In regard to #656 mentioned above, does anyone know any more about it??? I have a mate seriously considering it, and so I was wondering if any of you folk knew the boat or its owner and could give me any further info that would help my mate make his decision. He just missed out on #1680 and is fairly keen to try Mozzie! best bet would be to ask the questions via the eBay message system then get a forum member to have a look for you. Last edited by RickWhite; 07/30/15 01:05 PM. there where a huge number of Mossies built in those days, but I would say that from the description and care taken this looks like a good set of hulls, so at the right price could be ok, but the rest is so dated, the buyer would only realy be buying 70's shaped (narrow, not much rocker) ply hulls, if that is what he is after, could be a good solid set of hulls. All opions expressed in this post are mine and mine alone, no assumptions should be made regarding any Associations or Clubs I may be a member of. Does anyone know how to contact the bloke selling 17xx as advertised on the national webpage??? Let me know if you cant get hold of him on here and ill get you in touch. I believe my mate has made contact and they're in the process of negotiation. Thanks for all the assistance. This means we'll have 5 Mozzies in Port Vincent before Christmas! Last edited by PIRATE; 11/25/13 03:16 PM. Last edited by RickWhite; 07/30/15 01:06 PM. Last edited by RickWhite; 07/30/15 01:07 PM. Last edited by RickWhite; 07/30/15 01:08 PM. Last edited by RickWhite; 07/30/15 01:09 PM. anyone shed any light on this one ???? Last edited by RickWhite; 07/30/15 01:10 PM. Last edited by RickWhite; 07/30/15 01:11 PM. Zapper is also on the Mossie Website. All round sailing enjoyment. I've had this solid action machine out in 30+ knot winds by myself or happily cruised around with 4 children. Victorian Bruce Carter ply hulls with glass tape reinforced seams. Mounted on a registered fully serviceable 6x4 long yoke trailer with removable roll on/off boat frames. Brand new tyres. Importantly I can completely set up, launch and retrieve this boat on and off the trailer all by myself, including stepping the mast (and I'm almost 60). FICO adjustable trapeze rings all round and 2 full trapeze harnesses. Really heavy duty Ronstan mainsheet set up. 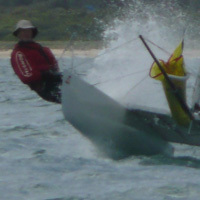 Pop up rudders for easy beaching and Centreboards centrally cleated for easy lifting. Last edited by Haz_Mann; 04/09/14 06:55 AM. 20 year old 16 foot mosquito class catamaran. Boat in good working order and lots if fun to sail. Needs a little big if work to brjng it up to full race readiness. Trailer in good condition & months rego remaining. You will not be disappointed . -Comes with 2 main sails and 2 jibs. -Great for both experienced and beginner users. catamaran mosquito ..... $450.00 Negotiable !!! Last edited by PIRATE; 05/19/14 07:03 AM. The centreboards are fine. 1 has a split which will eventually get bigger but works fine while out on water. The trailer needs rego there is a crack towards the front of the trailer which I have cleated apart from surface rust and lights not working. axles and hitch point fine and the trailer tows fine. I take it out still and don't have any problems. But it definitely needs a good cleanup. Mosquito 194 certainly is an oldie but a goodie. Lots of quality old fittings in VG condition. I think the hulls are ok ... I will know more soon. I will check to see how much they weigh and if they are watertight. Mosquito 194 will be doing more to encourage young cat sailors by providing parts for my AC than it would have otherwise I reckon. I don't see why using an old boat for parts for a new boat is a problem ... a mozzie is way too much boat for my kids. Last edited by oshcas; 06/15/14 03:18 PM. Unfortunately not all of us can see or enjoy the potential the older boats can give, Twice Shy for example has been an absolute blast and has taken trophies on several occasions when I was outclassed by far more modern boats..... it can be done but it takes commitment and determination to get there. Sorry, I have already started to (carefully) disassemble 194. I wouldn't have sailed her as is. Nice set of hulls (I think) but not quite sailable in current state. No centreboards either. Never fear - 194 will live on for sure. I am actually tempted to take her on as a project myself. The hulls will definitely be kept. not much info but the price is right !!! $450 for a registered trailer AND the boat !!! The seller says the sail number is 1636. It looks to be a good entry level boat and the price (with registered trailer) is great. 4: the beach roller cradles are excellent !! An old boat but has been modernised in some respects. Another good entry level boat. I was supprised at how clean and 'sharp' it all looks, with my photo program you can always find a whole host of uglys hidden by a poor quality pic, in this old girls case its supprisingly neat. I haven't priced that car-top sail-box but I'll bet they aint cheap by any means. General overall condition is good and at a great price how could you go wrong !! the deck is lifting at the front shroud point but he's shown that and it looks a real easy fix, the only other bit I could see was a small deck separation at the transom, 2 drops of resin and a nail and its fixed. do I need 3 ? The ad says "plastic hull" ?? Theres a quite a few earlier boats that were glass hulls and timber decks, quite heavy and not without issues with the difference in materials as the hulls would have been polyester resin (I believe chopped strand mat = weight)would have been fine at the time, but as they age the decks usually became seperated. Quite repairable (if required)though, if worse came to worse, could be redecked with modern glues and glass. Last edited by Got Wood; 07/04/14 01:52 AM. well fibreglass is known as "GRP" meaning "Glass reinforced plastic"
I notice that it has 'dagger' style rudders by the looks. Why isn't this a favoured option for most current mozzies? Last edited by Hack; 07/13/14 08:39 PM. Any amount is too much for Glass Hulls from my experience . They are too heavy, too flexible and usualy the skin has broken away from all the framing inside . Better of with a ply boat, it least it can be fixed. I took one of these to the tip years ago, rolled the hulls off into the hole, kept the trailer and rig though . Dagger rudders have generaly been dropped from cats. The ones I have used had too much slack in them and scratched the blades, also most have no fail safe if run aground, which makes damage likely when you have 2 to pull up in a emergency. It might be wiser for the seller to sell them individually rather than as a pair. There are not that many people who would want to buy two Mossies. Last edited by Greg/Debra; 07/17/14 06:22 AM. The ad says, "Marine ply construction built by Jim Boyer." I didn't know there were Boyer plywood boats. Does anyone have any information on these? There were timber Boyer taipans built even after they had made the moulds (timber boats have been in fashion at times) so the same probably goes for Mozzies as well. This one was Jims own boat, very nice, I was there the first time he sailed it, way back when! I am getting old! 13 foot 3 inch resin impregnated hulls??? Poor Fella might have his Paper Tigers mixed up with his Mosquitos. I am ummming and arrring about selling Beckit 1824 at the moment. I have got a job in Port Hedland and have to move there for the next 2 years. I don't really want my boat sitting there doing nothing, but I have spent a lot of time, money and effort building the boat, putting on good gear and setting it up well so have a lot of attachment to it. I guess I can either keep it some where or sell and build again upon my return, but the lead time for a new hull was pretty long last time. Is there a good place people know of where I can store it on the trailer inside for 2 years at a decent price? Just listed my Mosquito on Gumtree if anyone is interested. That link doesn't seem to work. Try this one. Last edited by Greg/Debra; 08/10/14 09:32 AM. Aldebaran V, 1765 is for sale. Excellent racing history. 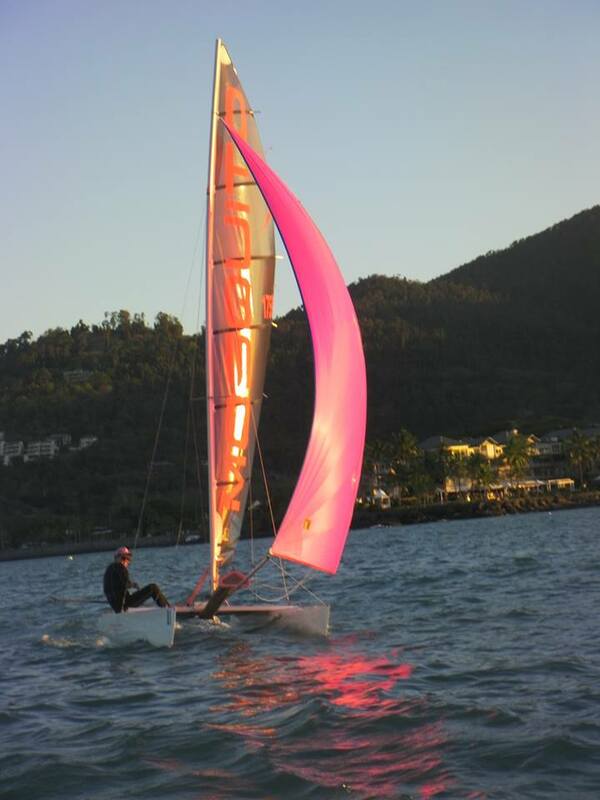 Cat and sloop rigs, timber hulls in pristine condition, new beams, good tramp, Boyer carbon foils, competitive Clifton sails. Beach rollers, registered and road worthy trailer with spare wheel, sail and storage boxes. There is no maintenance required, the winter fit-out is completed, the fittings are good standard, this boat is ready to race. Ready to perform at his usual standard. See Gumtree for further details or PM me. Last edited by Phillip; 08/24/14 06:09 AM. Tortured ply is clearly beautiful. This one is sold. It is 1722 "Fine Cotton" previously of Adelaide Sailing Club but now sadly neglected. It looks like a Boyer boat to me and if so someone has got a bargain. Last edited by Greg/Debra; 09/22/14 09:49 PM. AldebaranV 1765 has been reduced for sale, $4,900. Thanks Kingy for linking my revised ad on Gumtree. You beat me to it. Previous posting here has 'lost' its photos because I moved them from Photobucket. So see Gumtree for details. Any interest welcomed, Phillip. Last edited by Phillip; 10/03/14 06:25 AM. - Boat is ready to race, no maintenance required. 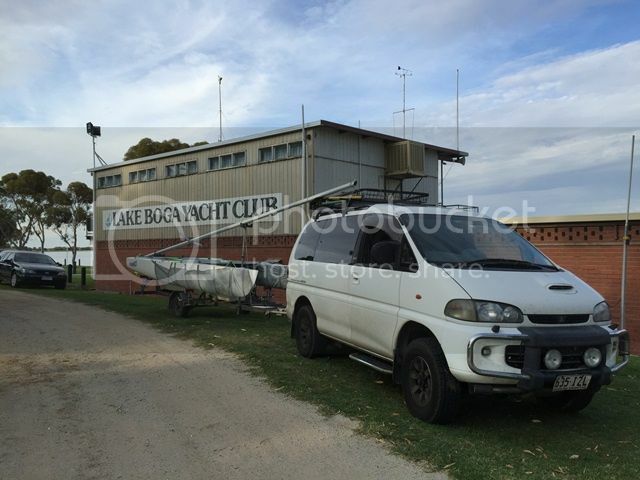 This boat will be available immediately after the National Titles at Speers Point NSW (Jan 9th), either for collection from Speers Point, or we can deliver it back to Melbourne. Last edited by Matt_Stone; 10/11/14 04:00 PM. Sorry guys, trailers not registered - my mistake. Trailer suitable for a Mosquito or similar. In good condition, needs a little TLC but a great start point and not registered. A good size metal coffin box and additional storage box on the front. Aldebaran V, #1765 is SOLD. Thank you all for your interest and support in the sale. 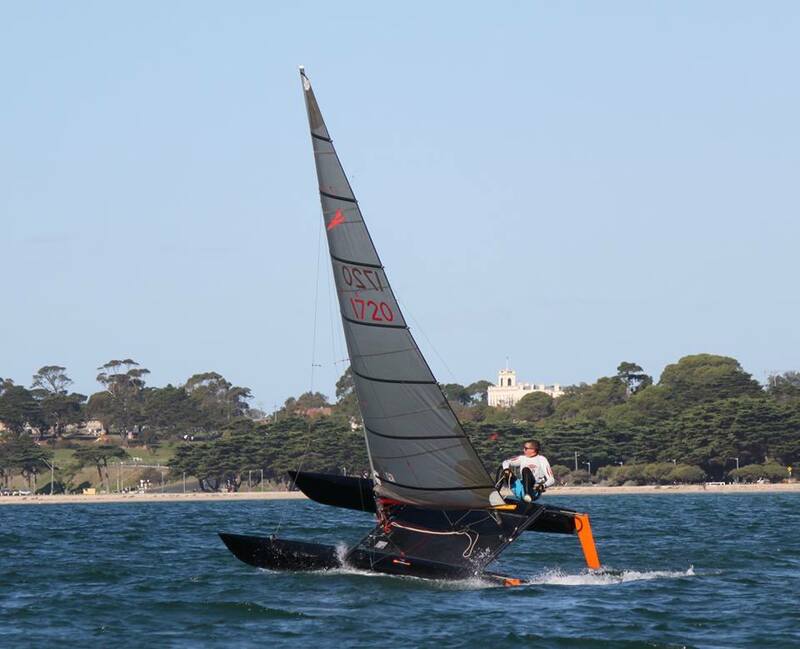 Ashby Sail� Good for club racing but showing its age. Goodall Spinnaker kit with Irwin 2 Colour Spinnaker, one season old. Ronstan 7:1 orbit blocks on main sheet. �Bags� full boat cover, including cover for spinnaker setup so you can leave it rigged. Extras: Spare Boom, 2 older Jibs with blocks and sheets for MK11, various spare wires. 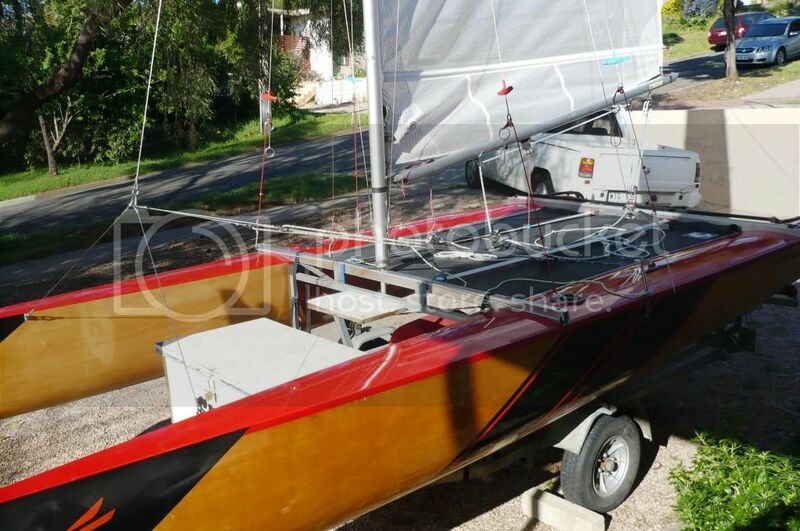 At the end of the season I will be selling it with a new sail purchased for the State Titles in March and all this seasons nicks and scratches attended to, as �nothing to spend suit new boat buyer." If anyone wants to cut my season short and make an offer for �as is� please feel free to contact me. Last edited by Simon C; 12/08/14 11:06 PM. Chat Blanc 1819 is now sold. simon where did it go and what now for you ? Over the border Gordon where, I'm pleased to say, it will be actively raced . I'll let the new owner announce themselves when they take delivery. As for me, I'm going to the dark side and will be sailing "the other" 16 footer. Just have to find one now! Merry Christmas I'll see you on the water no doubt. Last edited by Simon C; 12/24/14 05:23 PM. Going to miss your input in the Mossies, certainly appreciate what you have done for the class in the short time you've been involved and appreciate your passion. Good luck with the move to the dark side, I understand how difficult these decisions can be, if there where some at my club I would have been tempted. But to us Mossies soon you'll be just another "Snake in the Grass" to beat . Truth be known... having collected a 2nd in a state title I've clearly reached the pinnacle of my Mozzie sailing career... It can only be downhill from there as I can't see myself mowing down your Carbon Beast so it is a good time to move on. Good luck at the nationals for those making the trip. Good point, I think it was a great Mossie oracle that said "Time is Relative"
Nine years is just a blink of an eye, in Mosquito History . "Nine years is just a blink of an eye, in Mosquito History "
crap.... Now I feel Old! good luck with your new adventure..
And the Nationals are just up the road. 1759 toughen up princess is sold. Gumtree link to 652 ?? 1704 has been dropped to $4000. Ha, and I thought there weren't any Mossies in WA. Good entry level boat for someone. As with most things in life....pretty much anything is for sale at a price and I'll leave the Gumtree ad there til it runs out or does whatever they do. But I've decided to temporarily not actively seek to sell Sticky Finger at the moment until I work out my next sailing move. But like I said if someone is geniunely interested it can be bought. What are the pros and cons between sailing the Mosquito and the Taipan Matt? I know questions like these can easily generate discussions that get into biased, irrational 'class-bashing' and I don't want to do that, but I would be interested in hearing your thoughts as someone who has owned both boats (and built the Taipan?). Last edited by Matthew Dawson; 02/03/15 04:27 AM. Trying to have a shed clean out and have a couple of sails that came with 1782. Both have battens and bags. I haven't used either but im sure they are both good. Goodall radial cut, 2006 model. Is in alright condition but showing some signs of wear as per its age. Hasn't been used in years but would be good entry level sail. $200. I can put sail numbers and logos on for purchaser and freight can be arranged if needed. Open to offers just PM me or call 0439335781. Happy to email trough photos of the sails can't work out the upload system on here using iPad. The reason I sailed the Mosquito the other week and probably will for a few more club races at least is that I'm tidying up the Taipan a bit, it is a homebuilt boat and after 7 years or so, theres a few little dings and scratches that have been annoying me for some time, probably not really noticable most of the time...but unfortunately my eyes are constantly drawn to these imperfections. I sailed a Mosquito prior to Taipan, and still own that set of hulls as well, stored away for a rainy day. There are 3 Taipans at Derrinallum, however getting them all on the water at the same time seems a challenge at the moment...so if I can make up 5 Mozzies at the club (and win.. haha), while this is the case, then it makes for good racing for all. Sticky Finger hadnt seen the water for over 15 years went it hit the water the other week and went very well with a Supreme Main from the Mid 70's. I found a couple of things while on the water that will improve that a bit more, but couldn't change them on the water that day. 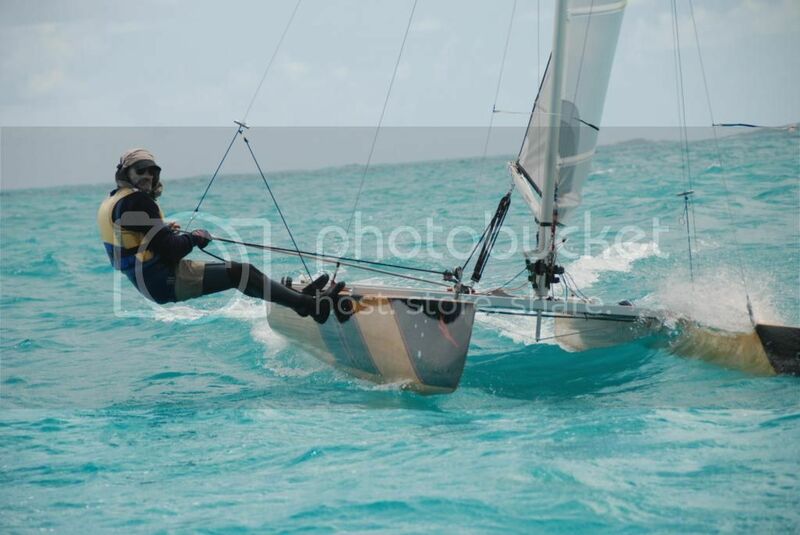 And my next sailing move....not sure yet but possibly won't involve cats at all, I will always own one, be it the Taipan or Mozzie, but theres other things I want to do sailing wise as well. Last edited by RickWhite; 07/30/15 01:24 PM. 1111 Perfect Score For Sale. This classic 4mm ply Carter boat seen on the side of the road near Warrnambool, sign on it says phone 0438 242 285. Thanks to Eliza for posting on Mossie Facebook page, looks like still the same paint job (now more faded) as when I owned it, although sign writing is new. Last edited by stillbitten; 02/28/15 11:38 PM. Where is the Mossie FB page? I searched but could not find. Seems like one has to be accepted by a member of this group, like in an exclusive yacht club. Last edited by Greg/Debra; 03/01/15 05:23 PM. The site boss is building a house. His anchor is set!! Oops, no offence meant. FB site is worth having as it has a specific focus and its gradually gaining friends. If its not Matt, who is the admin face to request being on the friend list? Another old girl but with fibreglass hulls and some nice "bits"
And yet my request is still pending ????? I just had a look through it and there is no admin listed, the adds are done by any member and currently there are no pending requests to join, if your request was there you would have been added, there is no "boys club" here. Epimagic 1695 for sale. $2500. Details on National mossie website. Epimagic is SOLD. Going to sail at Pt Vincent, Sth. Australia. That's not it's real sail number (1111 is a Carter plywood boat) and it's not really a Mosquito with that beam across the front. Buyer beware! My pic collection says this one has changed color yet again !! Boyer boards and rudders, Boyer boat maybe? Shame about the jib; I have removed a lot of rust stains from sails using oxalic acid but that one would take a while! I don't doubt that you would be correct, but how can you tell? Chain plates? Hey Kingy, have you seen this one? Looks like a baby abandoned in the woods. i messaged the guy, and its ply. When the ad said 'recently painted' that was a strong indication (although not as definite as Matt actually asking him). In the register it has the name "Missbeast" which suggests it was a Russell Denholm boat (all his boats are Beasts). In that case it could be light and a reasonably good shape as well. That bar across the front chainplates contradicts the "sound hulls" description. Although it does actually say "sound hull" so maybe only one of them is sound! Still got this sail in the shed that I'd love gone. Hardly any use since been bought. Last edited by Matt_Stone; 10/01/15 12:18 AM. Oh awesome, another in Qld ?? Yes 1816 is coming up here. Will replace my other mossie 1635 which is getting on. Look forward to having you on the water up here too Nic. Give it a month or so and I'll be good. Can't wait to have a sail !!!! Congrats on the new boat ! For you locals that way at Swan Hill / Lake Boga. If I come via West Wyalong, Hay, Booroorban, Moulamein, Swan Hill. Any comment on the road from Booroorban to Swan Hill through Moulamein? Congrats on a great buy , that boat is in very good order and a Fey or is that Fay boat. I travelled to Lake Boga the Easter just gone and it took me 20 hrs . Bit of a slog but using the Newel was good because there is less traffic. From memory Best way to go is as you have suggested. Good luck. Mossies are still alive in Qld. Thanks, love a road trip, all good. Your time sounds like what I expected. Cannot wait to be back on the water. The rest of us cannot wait either . Let us know when you, are ready and we will do a training day or a club meet somewhere. Plan is to go for a drive around the 23rd to collect and return few days later. 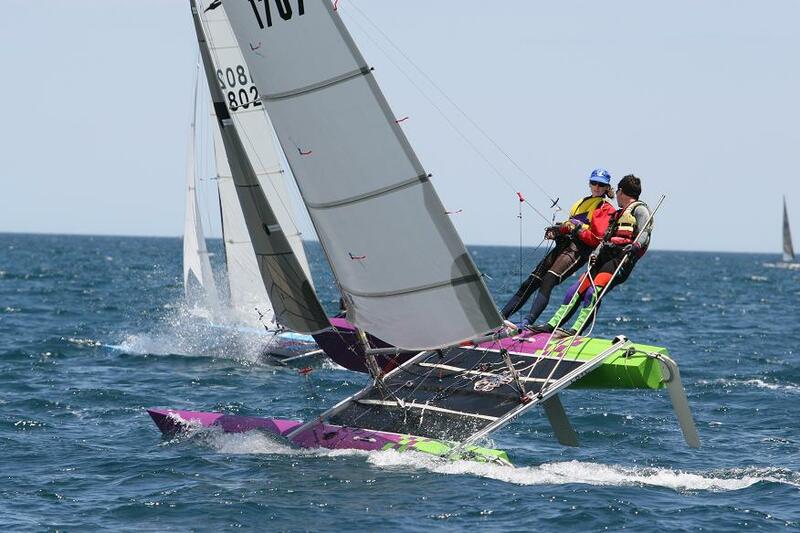 All going well could sail at Cat Challenge at Cootharaba on 31st Oct / 1st Nov. Both Brett and I will be at the Cat Challenge, so we hope to see you there. Hopefully 1815 won't be up here too much after 1816!!!!! Can I bring it up for you...? Are you up here yet or still moving? 1816 is now up in Qld. Some 3,300 km later in a round trip over the weekend. Thanks Phil, lovely spot there at Boga. Loaded up ready to go Saturday arvo. 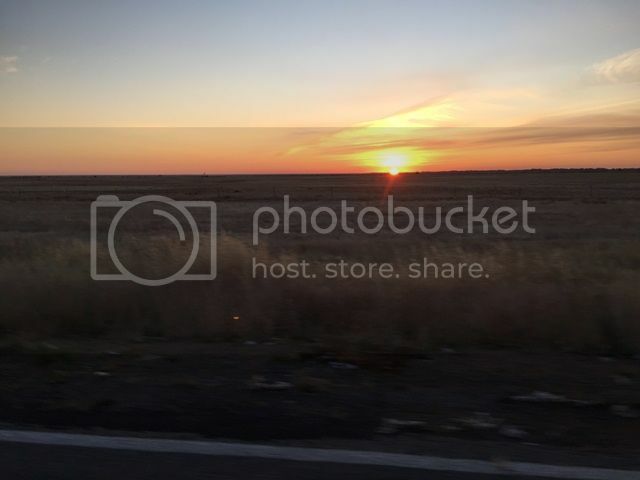 Early Sunday sunrise over the Hay plain heading north, some 1,400 km to home. Last edited by drew_mac; 10/25/15 08:12 PM. Fantastic to see you back in the game. You'll be hard to catch now with that Fay/Denholm boat. Brett and I will meet up with you at Cootharaba for a good old catch up. Forgot to mention . Yes Lake Boga is a Beautiful spot. The locals are justifiably proud of their club. Last edited by Dave M; 10/26/15 02:12 AM. This boat has a great history! Last edited by Phillip; 11/04/15 04:51 AM. Last edited by Schnoogie84; 11/16/15 06:11 AM. What a bargain! I have never seen a Mossie for $100 before. I thought we were doing well when we bought 1140 for $200. The same boat sold for $520 on eBay 3 years ago. Looks like the buyer did nothing with it and is now cutting his losses. 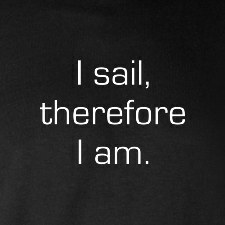 Some people reckon that sailing is an expensive sport, but entry level sailing can be very cheap. Last edited by Greg/Debra; 11/17/15 02:50 AM. I have a second hand set of boyer centre boards I was looking to sell, just trying to work out what they are worth? I bought a second hand pair for my Taipan 2 years ago. They had been re-finished and painted (not gel coat) and cost me $120. But that was cheap. I have some plastic beach wheels for sale that would suit a mosquito. Hi All, The Young Mariner is up for sale, sail number 1800. Details are up on the Mossie Website here. Last edited by Simon_Hallsworth; 02/24/16 05:59 AM. Hate to use the "C" word, but that's a Cobra. 0 registered members (), 19 guests, and 309 spiders.